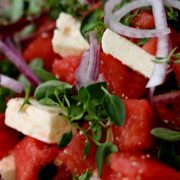 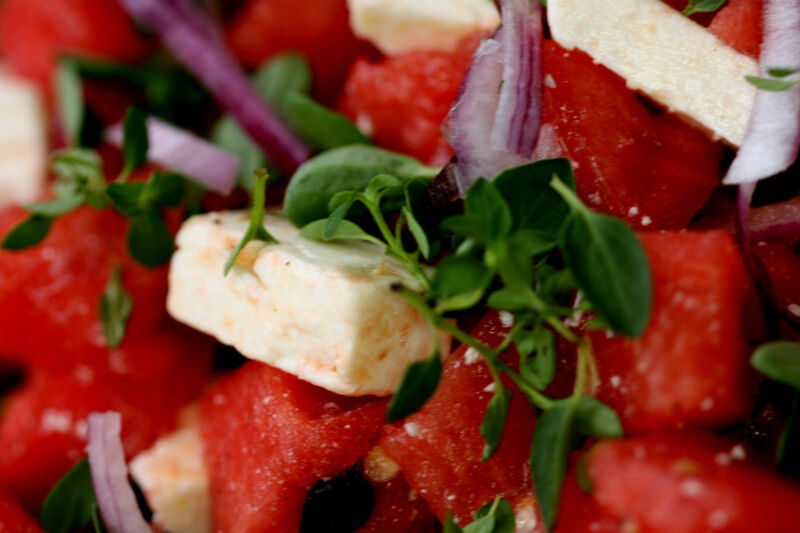 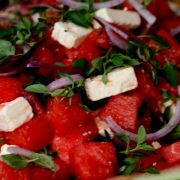 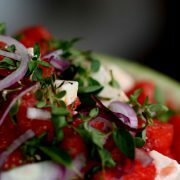 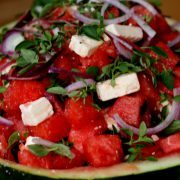 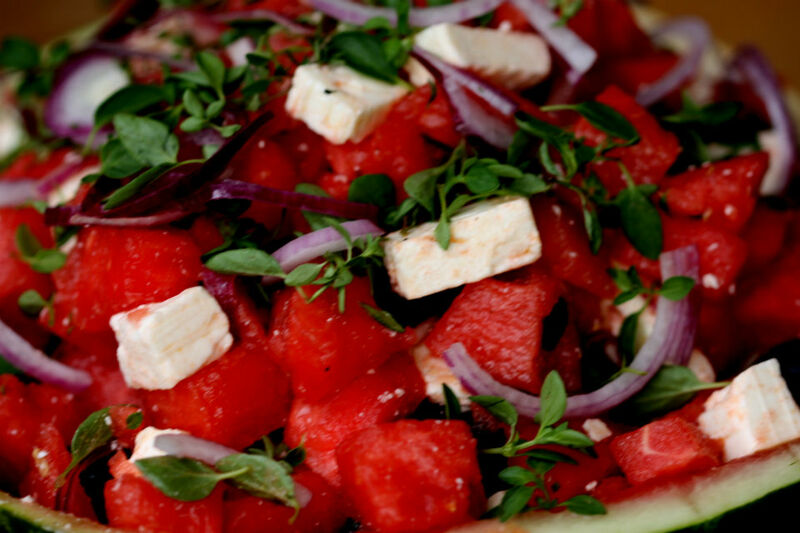 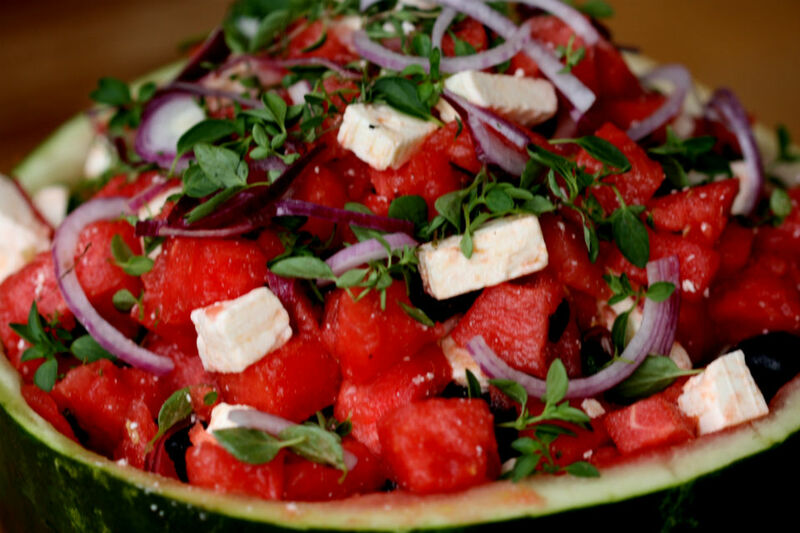 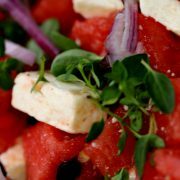 Watermelon, Feta and Red Onion Salad inspired from the Greek Salad this is really easy to make. 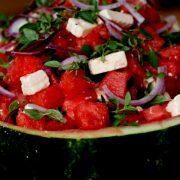 The secret is the quality of the ingredients especially the Watermelon. 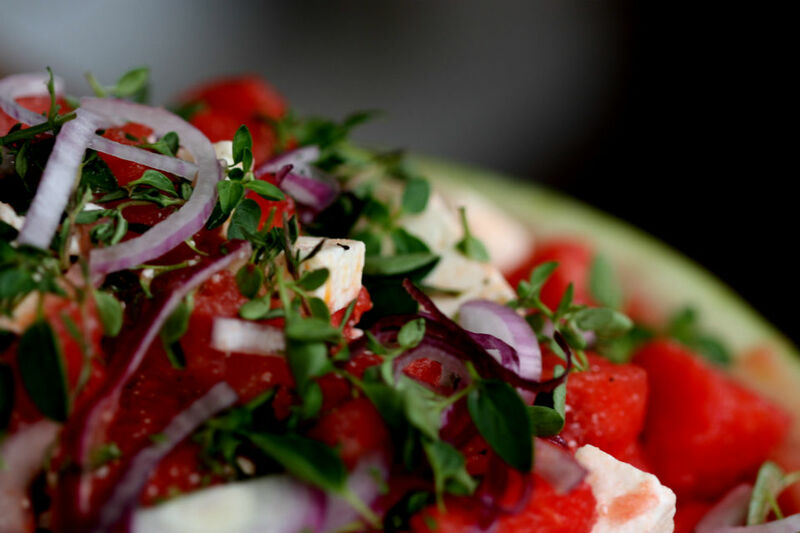 Fresh Oregano and Thyme changes the game. 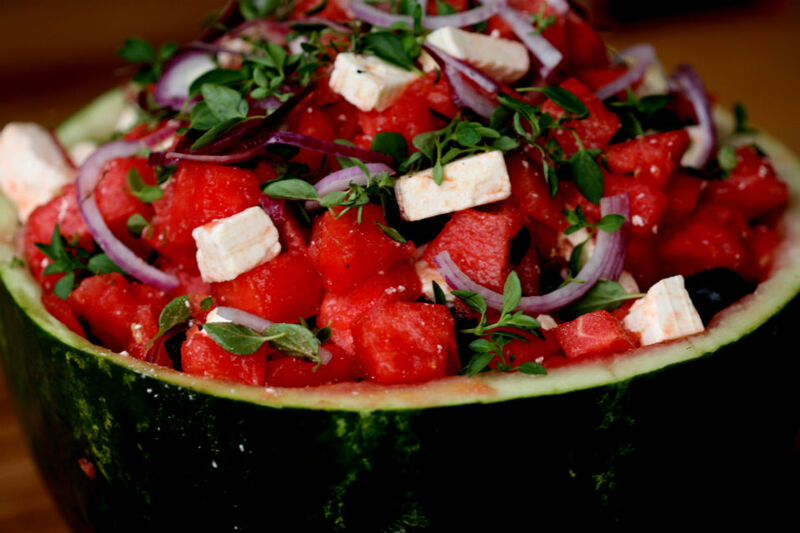 Great with a BBQ lunch dinner on the terrace. 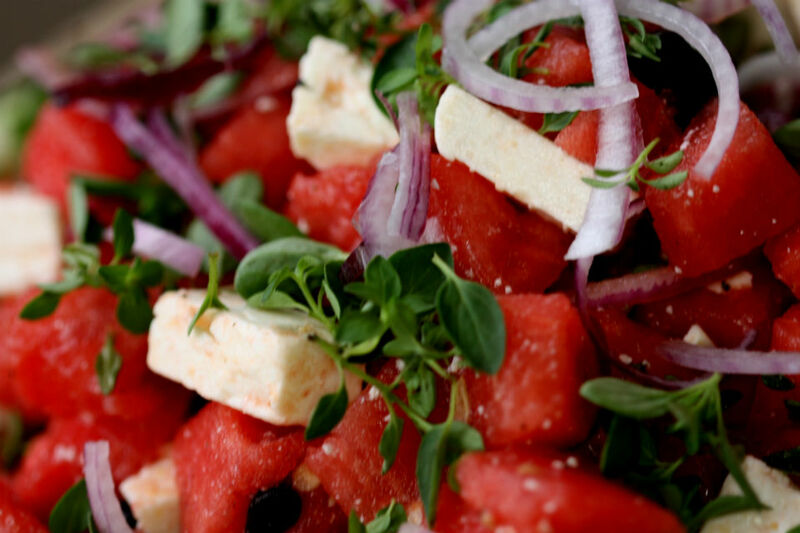 Best served cold.